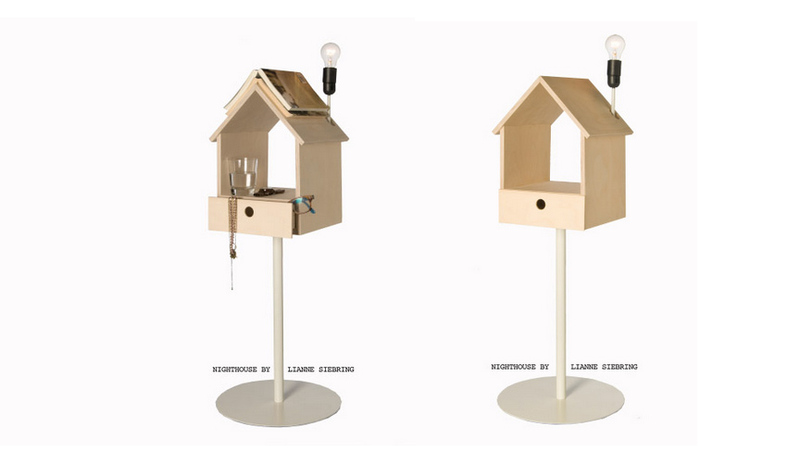 Nighthouse by Lianne Siebring isn’t just a bedside table but is the result of a search for the most ideal nightstand. 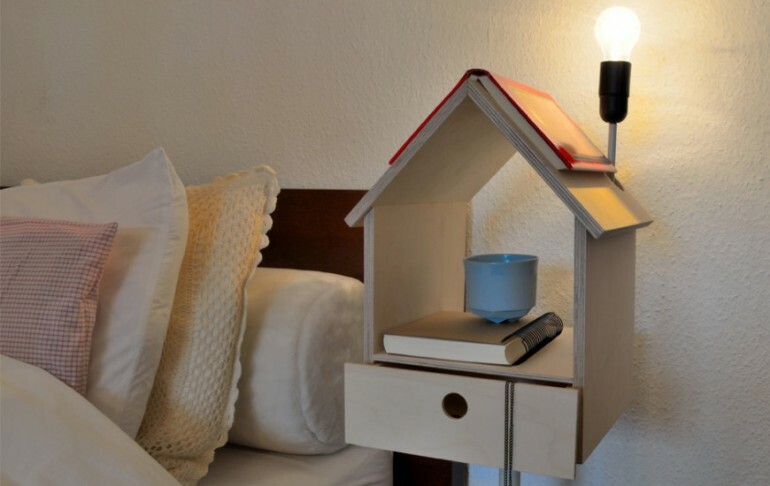 Why don’t nightstands have lights? Why can’t you find the right page of the book the next day? With these questions Lianne Siebring designed Nighthouse by Night. A book can easily be placed on the roof, ensuring you won’t have to search for the right page the next day. Another thing that makes the design unique is the lighting that is already built into the nightstand. In the new production edition a different fitting will be used, Lianne is still busy looking for a nice, suitable fitting. The foot is made from metal and the house of birch plywood.